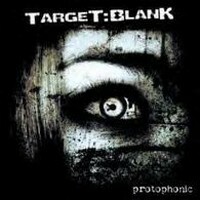 With Target:Blank a young band from Germany stepping into the limelight. The band was founded in 2006 and in the following year they released an EP on their own. In 2008 they were the winners of FFN New Sensation which was a step forward. Now they have their debut out - Protophonic. The fivesome recorded in the renown Horus Sound Studio in Hanover. With their energetic modern rock they aren't targeting the metal scene, but the rock scene. The opener As I Fall shows the direction - crunchy riffs, partly dual lead vocals and some electronic sounds. With this song they should be able to convince fans of Mando Diao and co. The following Into The Dark has more keyboards and is a bit heavier... But also catchy. They push down the accelerator a bit more for Why! The staccato riffing is combined with keyboards and so it reminds me a bit of some gothic rock stuff... The voice of Dennis Gatke is powerful and emotional, but especially when bassist Seven Arnold joins in they can create something special. With acoustic guitars they lead in A New Part, then the song becomes a slightly melancholy balladesque rocker. Very powerful, but also very emotional! Reminds me a bit of bands like 3 Doors Down and co. ... The keyboard at Nonconformity has a bit of Paradise Lost... One Second, I think... Afraid is Nickleback-ish, but a cool tune, so it doesn't really matter. At the closer Salvation the electronic sounds are more prominent, but combined with heavy riffs. This one sounds somehow familiar... A catchy hook will make you spin this CD again, so they were right to put this one at the end of the CD. If you like bands like Mando Diao and 3 Doors Down, then you should check out the German youngsters! I recommend: Nonconformity, A New Part and All That Hates Me.